Controls - A/C Split Units There are 11 products. For mid wall split, cassette, under ceiling and hide away Air conditioner units. Take Note: Only to be fitted by a competent air conditioning technician. 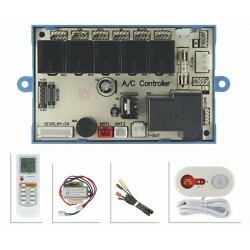 An affordable universal air conditioner control system for heat pump mid wall split a/c units with auto restart function, ideal for server room applications. 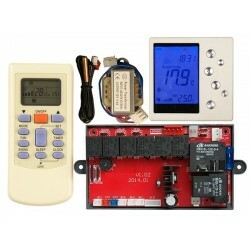 This control system has 3 fan speed settings, timer function and many more features. Complete with PC Board, infra red remote control, sensors and transformer. An affordable universal air conditioner control system for heat pump split a/c units with a variable fan speed output as found on small mid wall split units. Timer function and many more features. Complete with PC Board, infra red remote control, sensors and transformer. 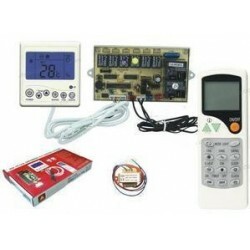 A universal air conditioner control system with an infra red remote control ideal for cassette type air conditioner units. 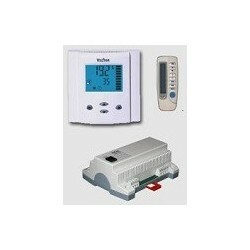 This unit has 3 fan speed settings, swing socket, timer function, defrost heater output and many more features. Sold complete with remote control, PC board, sensors and transformer. 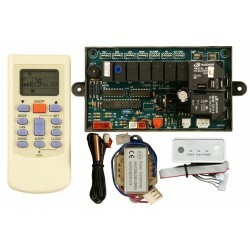 A universal air conditioner control system with an infra red remote controland a wall mounted controller. This unit has an auto restart function, 3 fan speed settings, swing socket, timer function, defrost heater output and many more features. Sold complete with remote control, PC board, sensors and transformer. 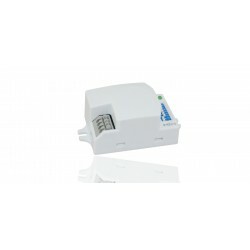 This Microwave motion detecting unit is suitable to be mounted on the ceiling or wall and will switch the air conditioner on when room is occupied and off when the room is not being used. There is an adjustable time delay of up to 60 minutes. 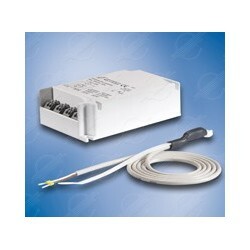 Effective distance: 10M 230V AC 5A resistive load. 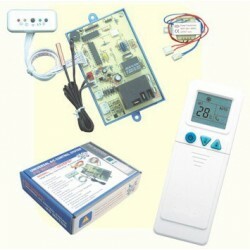 Universal Heat Pump Controller for Domestic Hot Water and Swimming Pool Applications. 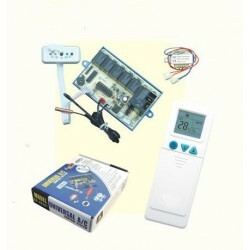 The kit is supplied complete with a Wall Mounted Controller, PCB, Transformer and sensors. Sensors for Water and Coil Temp. Inputs for Water Flow and Pressure.